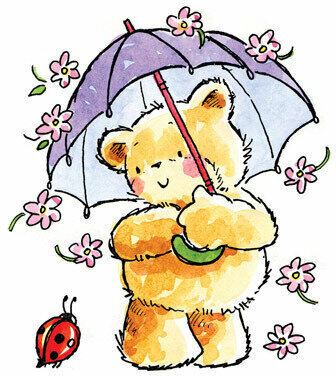 Penny Black slapstick cling stamp featuring peonies. 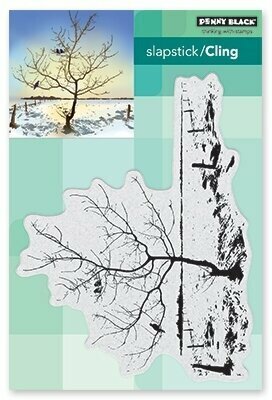 Penny Black slapstick cling stamp featuring a pear on a branch. 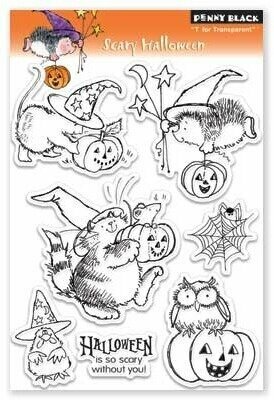 Fall themed Penny Black slapstick cling stamp featuring an autumn wreath. 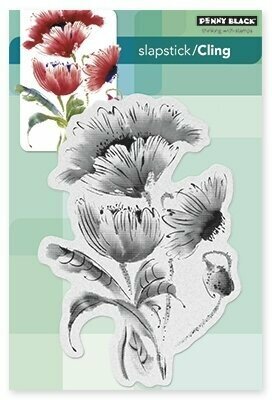 Penny Black clear stamps featuring flowers. 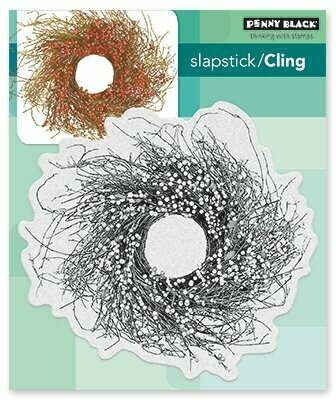 Penny Black Slapstick cling stamps featuring poppy flowers. 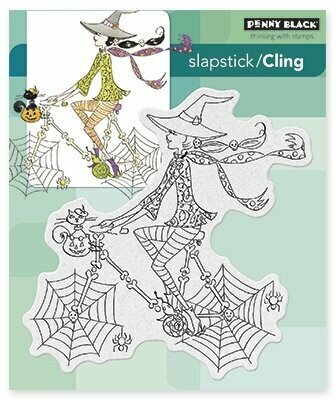 Penny Black slapstick cling stamp featuring flowers in pots. 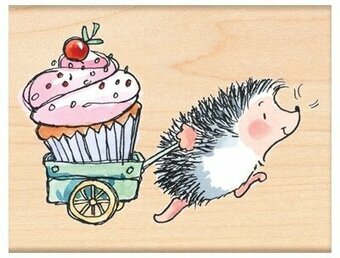 A Penny Black wood mounted rubber stamp featuring a hedgehog pulling a wagon with a very large cupcake! 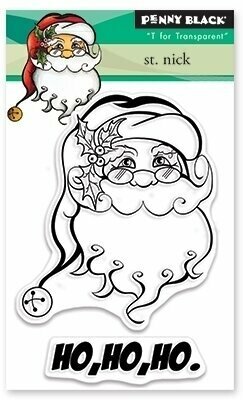 Penny Black cling rubber stamps featuring an angel holding a dog. 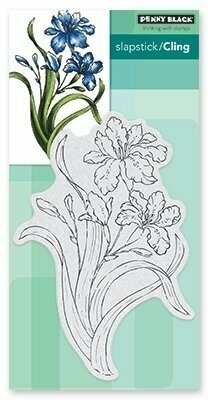 Penny Black clear stamps featuring a garden scene, a hammock, and "Merci". 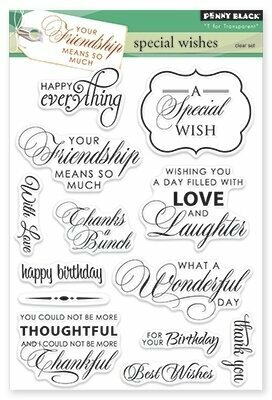 Penny Black clear stamps featuring ticket stubs, "The Story", "Remember This", and "Best Day Ever". 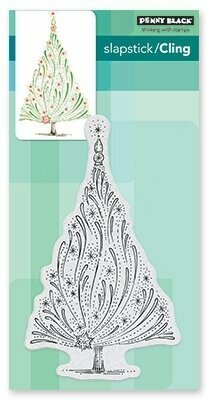 Christmas themed Penny Black slapstick cling stamp featuring a bird in a tree. 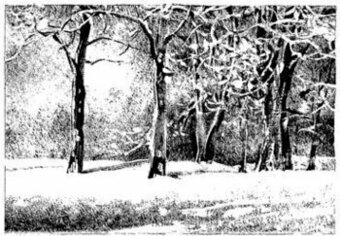 This Penny Black Slapstick Cling Stamp features scenes of Rome, including the Coliseum. 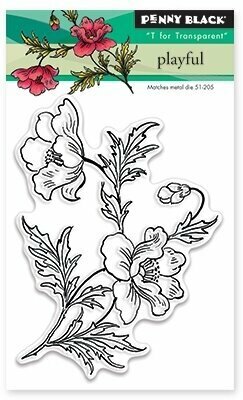 Penny Black clear stamps featuring flower borders. 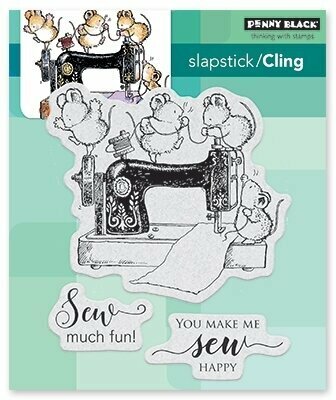 Penny Black slapstick cling stamp featuring mice at a sewing machine. 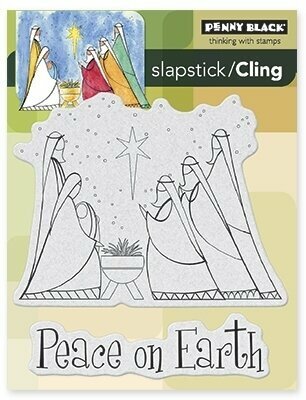 Penny Black slapstick cling stamp featuring a city skyline. 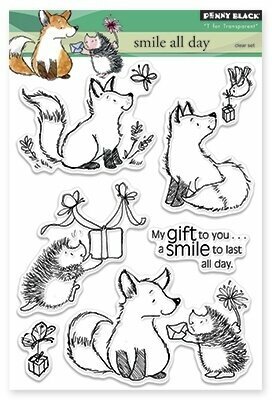 Penny Black clear stamps featuring a fox, a hedgehog, and the sentiment "My gift to you... a smile to last all day". 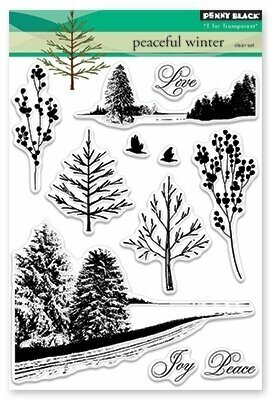 Love themed Penny Black clear stamps featuring the sentiments "Love is you", "Sending you a hug", "Happiness is a moment with you", "You're my favorite daydream", "I'd be lost without you", and more. 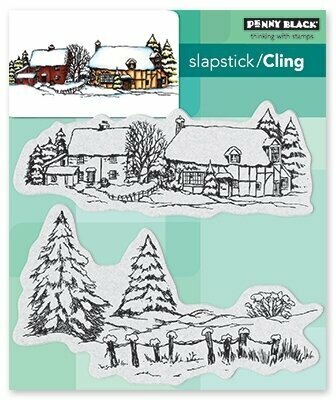 Penny Black slapstick cling stamp featuring a winter landscape and cottages covered with snow. 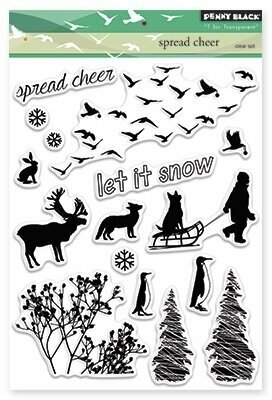 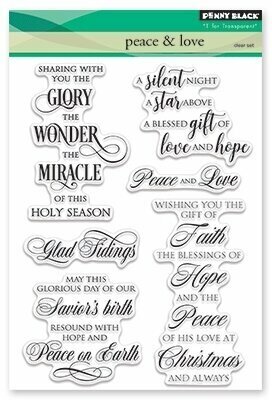 Winter themed Penny Black Slapstick cling stamp featuring a snow covered church. 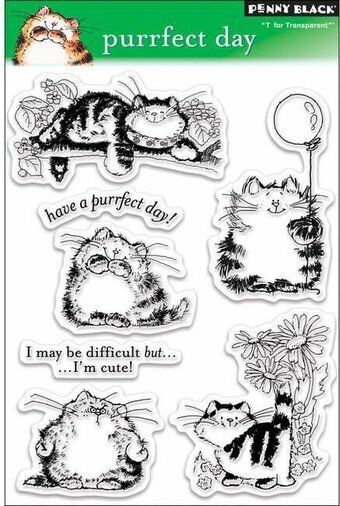 A set of Penny Black clear stamps featuring butterflies. 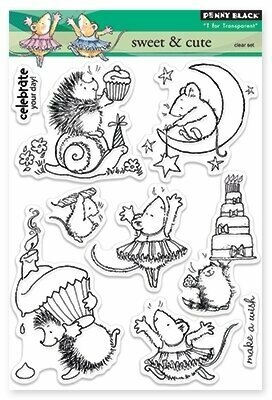 Penny Black clear stamps featuring hedgehogs, mice, a snail, a birthday cake, "Celebrate your day", and "Make a wish". 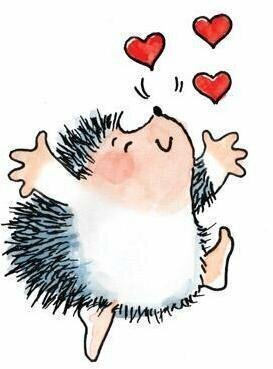 This hedgehog and hearts wood stamp would make a cute Valentine's Day card. 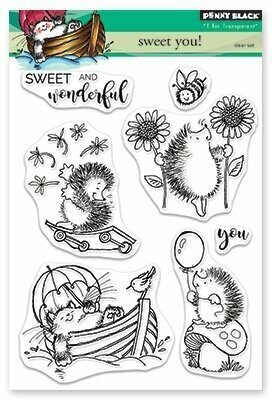 Penny Black clear stamps featuring hedgehogs and the sentiment "Sweet and Wonderful".